Ok, ok, I’ll move on already, but please let me add just one more thing. Since the point of Charcutepalooza is nose to tail use of carefully raised meat, I just wanted to mention this one last awesome bonus pastured heritage breed pork has over conventionally raised. At first glance, many of you will feel waves of anxiety at the sight of untrimmed fat on your roast (if ever you’re lucky enough to see your roast in all it’s untrimmed glory). Fear not this fat however – it is not the evil health hazard we have been trained to believe. 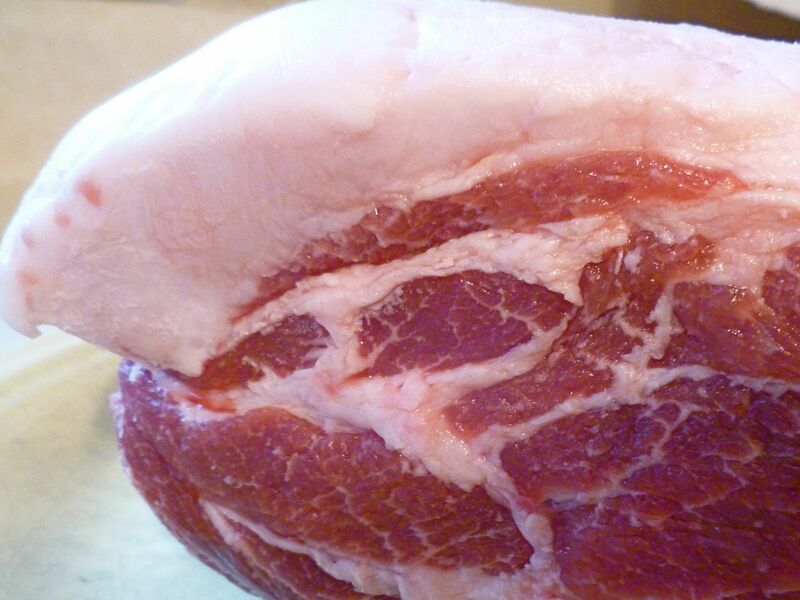 This snowy rind of fat coating your pork is the sign that your pig has been raised slowly and will have meltingly tender, juicy and flavorful meat. It also means that not only do you have your meat, you have a bonus round of fat to render. Make no mistake, the fat rendered from a pastured, heritage breed pig is nothing like the blocks of industrial lard you can buy in the supermarket. That processed lard has been hydrogenated to extend its shelf life, thereby leaving it full of trans fats. Pastured pork fat is not only extremely useful, it’s actually good for you; those supermarket blocks of lard take what began as mostly monounsaturated fat with healthful benefits and commercially process it into an unhealthy fat that tastes like candle wax. Eesh! One day I was going to be around all afternoon, so I took my smoked pork fat (it weighed about ½ pound), chopped it into cubes, put the cubes into a gratin dish and covered them with a little less than 1/3 cups water. The recommended ratio is 1/3 cup (75 ml) water: 1 pound (450g) fat. The purpose of adding the water is to keep the fat from burning before it begins to melt. The water will naturally evaporate during the cooking process. Place the pan in a 250° F oven uncovered. Check and stir after 30 minutes or so – watch carefully as the fat begins to color. The fat will melt, the water will evaporate, and bits of firmer fat & meat bits will float in the liquid fat. To see an amazingly fabulous blow-by-blow of rendering lard, visit A Little Bit of Spain in Iowa; but don’t forget to come right back. whims and mood of your particular piece of pork fat. The bits of firm fat & meat left floating in the liquid are the cracklings. Remove from oven and let cool slightly. Strain the fat through cheesecloth lined sieve into a clean jar. Let cool completely before covering and storing in the refrigerator for up to 2 months, or in the freezer for up to a year. If you’re like me with a fridge full of mystery jars, remember to label your jar. I also scooped up the cracklings and saved them to use later on a salad (Bacos get real), soup, stew, risotto, green beans, mashed potatoes, you get the drift right? My lard is rendered from leftover pork back fat that had been smoked, so this time, it’s all about the smoky, porky flavor. Lard need not be pig-flavored however. Lard is usually rendered from uncooked, non-smoked Back Fat, Belly Fat or Leaf Lard. Each type of lard is best suited for different purposes with leaf lard being the most flavorless and suited perfectly to making fine pastry. But pastry isn’t what’s on my mind today. 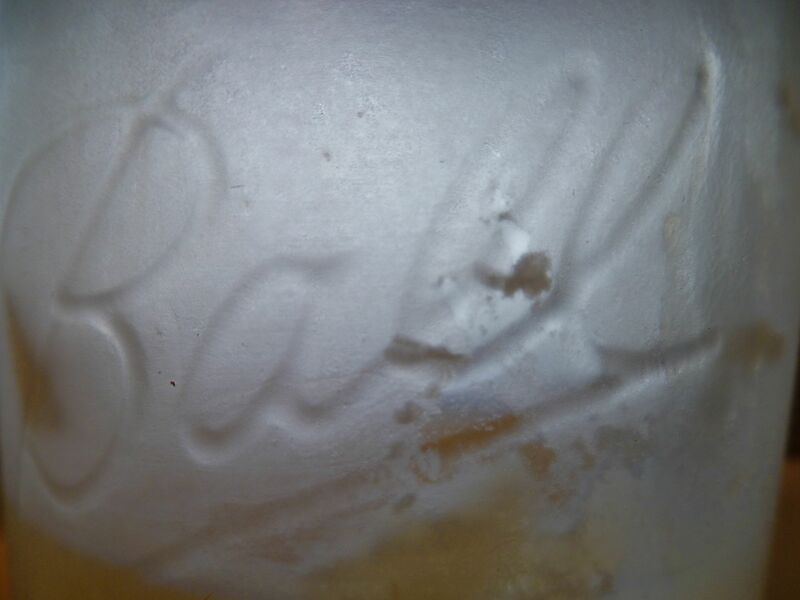 It’s beef stew. I like to begin making a stew by sautéing my veggies first. For years, I’ve used olive oil or more recently, strained bacon fat. But since I’d saved the fat from my smoked pork roast, now seemed like a pretty perfect time to try out the fruits of my rendering idea. After sautéing my carrots, potatoes, onions & garlic in my smoked pork lard, I added a pastured Devon chuck roast I had cubed into 2 ½ x ½-inch squares. I roughly layered the veggies & beef cubes in a dutch oven, added a large can of whole tomatoes, covered and simmered slowly for about 2 hours. Remove the meat and vegetables from the juice and set aside. Bring remaining juices to a boil uncovered and reduce by half. Return the meat and veggies to the pot of reduced juice and serve. The reason I’m being deliberately vague with this recipe is that it is one that does not really require perfect following of directions as long as you follow the general principles. If you’re the sort who finds freeform cooking frustrating, here’s a basic recipe. It can be nice to add wine or a bit of brandy to the reducing juices; a knob of butter stirred in at the end gives a velvety sheen. Walnuts or chestnuts can be a nice addition also. Today, I happened to have those pork cracklings on hand so that’s the way I played it. There was no need for any additional cheffery. And that’s what’s so great about cooking with local, seasonal, carefully raised ingredients. No fancy tricks or exotic ingredients required. You’re making full use of the byproduct of an earlier meal. The small amount of smoked lard I used to brown the veggies in the beginning (about 3 TBS) plus the addition of a few tablespoons of cracklings gave a deliciously rich boost to my stew. It was so simple, and so inexpensive. The smokiness was very subtle – my stew did not taste the least bit like barbecue. Really, it doesn’t even taste at all like pork – I swear, if I didn’t tell you, you’d never know. 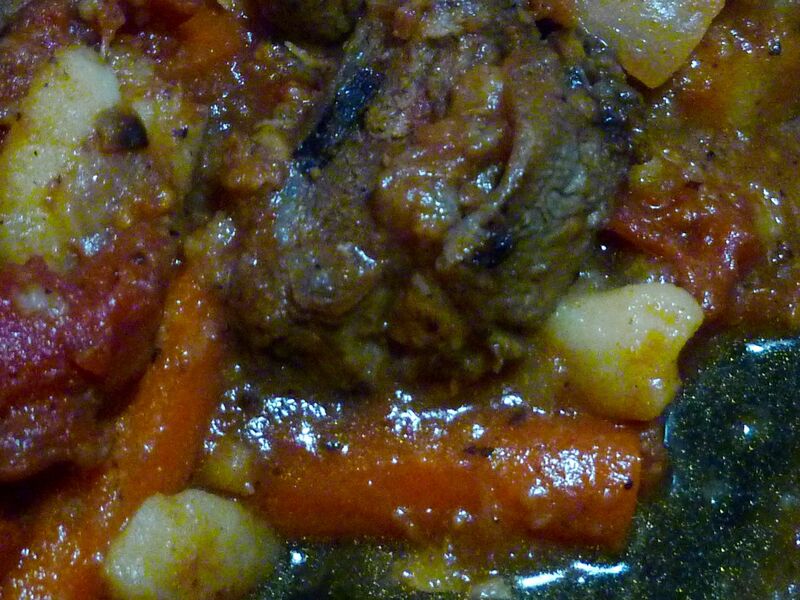 It’s 100% bona-fide beef stew. But, this thickened sauce is a far cry from the floury thickened sauce that is traditional in Irish style stews and doesn’t carry the burden of the extra calories, carbs and gluten the flour brings. A final note – conventionally raised pork is much, much leaner and is slaughtered at a younger age than heritage breed pastured pork. And I don’t mean that to be a compliment. Taking time to render pork fat probably isn’t worthwhile unless your pork is from one of the fattier, slower maturing heritage breeds like Berkshire, Tamworth, Hereford, Ossabow, Red Wattle and so on. Check out Slow Food USA arc of taste on Local Harvest to find your own Fatty. 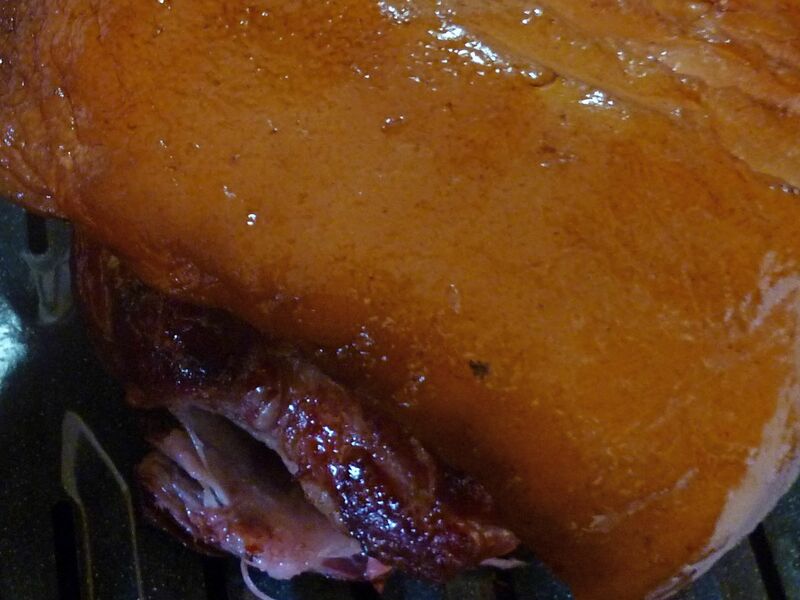 My pastured pork roast is the roast that kept on giving; I captured about ¾ cup of secret flavor booster. I won’t tell if you don’t…. Next > in which we ask: boss or bellwether? Come on up – we’d be happy to have you! Wonderful :-) I use my lard pretty much every day, and it make me happy. I’m glad to hear that your ‘fridge is also full of mystery jars. I’m getting slightly better at labeling ’em. That beef stew sounds so delicious, especially as I got home at 6:45 am from dropping off milk jugs and it’s Cold and Wet and Grey outside, at least here in VT.
Not so bad here, but this rain makes farm chores kind of unpleasant to say the least. It sounds like 6:45 is lunchtime for you….